outOfcontrol3 had the most liked content! i really do like the animations of the older ones. i always look up cools gifs of guyver and the older ones are always so amazing. but obviously it's older and the animation isn't always amazing, but when it is good i think it's just on another level. Yes the newer animation is better but at times when i watch the old it actually seems way more detailed. this could be because it's more gory though. 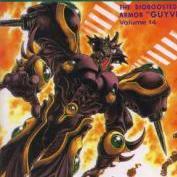 I do feel like guyver is a mature violent manga and i love it that way! so the new one feels like it strays away a bit from that in my opinion. Thank you for the input also! I completely agree! the voice acting in the new one seems silly at times and even the accents feel forced. thank you for your input. I just finally saw that! sorry i've been sorta inactive but i always check on the site for new chapters. i've been on this site for years but never said anything but everyone here is so friendly and has so much love for guyver that i don't feel alone. i will join the review thread though and appreciate your input. 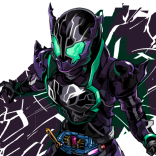 i feel like the new series has too much of a appeal to everyone feel and not the dark violent guyver feel i grew up with. Just wondering what everyone thought on this. I grew up with the old one and loved it and i'm watching the new one new after forgetting about it. But rewatching it now i just feel like the old one was a lot better, it just seemed way darker and more violent. Even though the art is old i actually really like the old style. lol honestly the best idea. hopefully it's not dead, i've been following guyver since i was 6 years old and i'm 26 now. I would really like it to be completed but sometimes the slow pace really kills me and i worry that it may never get finished. I remember picking up the animated movies at blockbuster when vhs was all we had and no dvds. 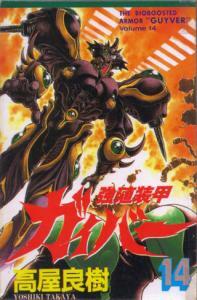 Then i even got the live action movies and completely loved guyver. It even shaped how i ended up liking mangas and anime pretty much loving super action and bloody violent stuff like gantz, berserk, blame!, biomega, elfen lied, and others. Hopefully he gets an assistant that can help him finish the manga and all of us fans can get a nice ending and closure on this amazing manga. i actually didn't think about that, imakarum hasn't been shown to be with alk when apollyon was with him. That really helps further that it could be imakarum. But i just thought the creators wanting to take away the zoalord crystals as a way of weakening alk's resistance like they want to come and confront him and not just flat out destroy everything quickly. I can't help but think there's gonna be some kind of creator moment in the manga, they keep showing the flash backs and we pretty much know who they are kind of. It would just be awesome to have some grand finish with them and to see a confrontation between alk and them again would be nice. upon reading more this picture here makes me think it has to do with the creators even more. And also there's a point where he sees aptom and is confused by what he is. Wouldn't kami know what aptom is though? So why would kami want to return everything to nothing? That seems more like something the creators would want. also i feel a lot of the names mean something this may sound a bit wacky but if you just take kami out of murakami's name it means god or deity. So wouldn't the creators pretty much be god to everyone on earth since they created them? what if murukami is a secret advent agent this whole time? I mean it's far fetched but it would really be a plot twist.